Pampers has released a new commercial advertising the Cruisers Diapers, with Extra Absorb Channels, that stay dry and don’t sag like ordinary diapers. 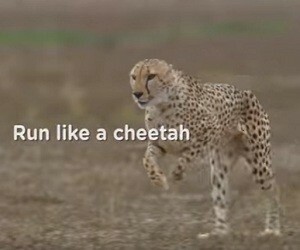 The 15-second spot, titled “Run Like a Cheetah”, says: “Run like a cheetah with Pampers Cruisers instead of waddling like a duck because of a saggy diaper. Pampers Cruisers doesn’t sag and stays drier. So be free to move however you want. Pampers Cruisers. Wishing you love, sleep and play”.